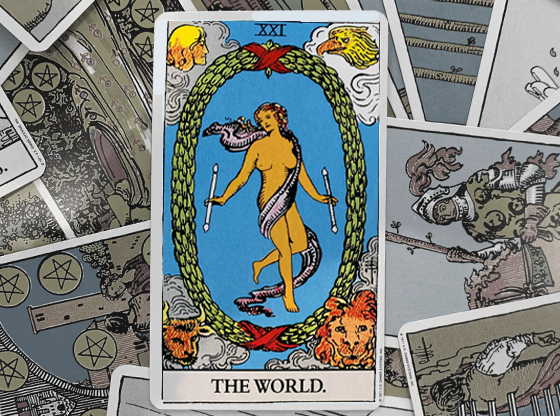 The World is a glorious tarot card, so finding the World reversed in your spread is a shock. But it’s one of those shocks that’s more in your perception and not the actual information represented by the card. When you get the World reversed, you’re so close to whatever your goal is! There’s a little more work to be done, but you can do it if you pay close attention. 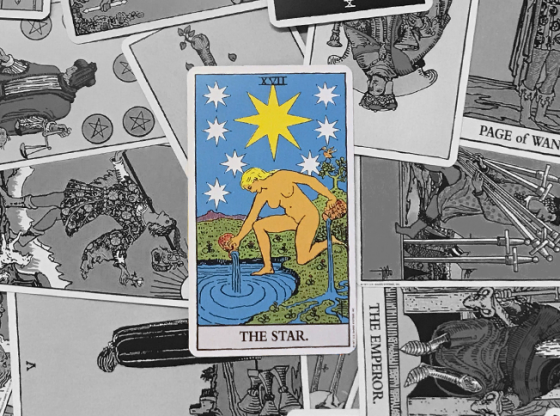 The World itself is the culmination of the journey through the Major Arcana of the tarot. 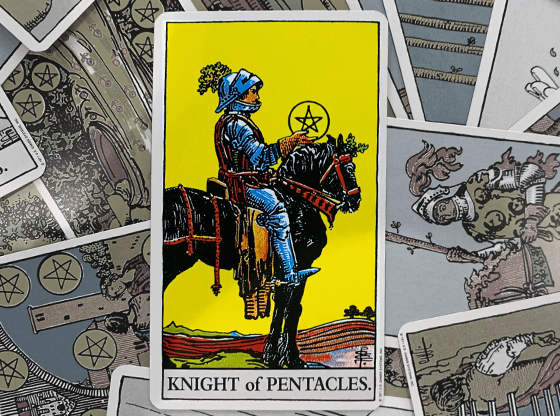 It’s the last card in that series before the Ace of Wands and the Minor Arcana appear. When you see the World, you’ve come full circle but have also completed something important. Satisfaction, inclusion, accomplishment – whether you were working toward a specific goal or just trying to have a happy life, you made it. Pull that card in the reverse position, though, and you have to stop to evaluate. Take a look at this card. The woman surrounded by celebratory wreaths, bounding past them, lighter than air, is suddenly upside-down. 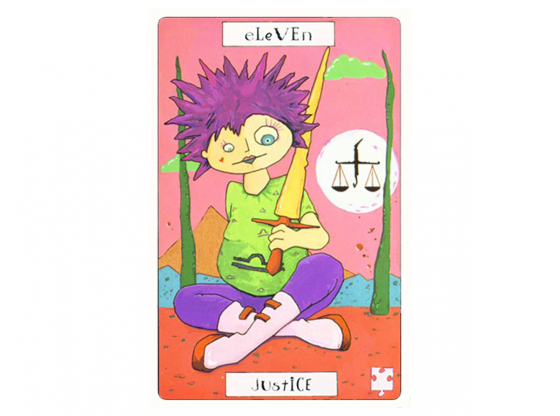 If that looks familiar, you’re not wrong; she looks like a version of the Hanged Man from earlier in the Major Arcana. We tend to look at cards from the top down, and that provides an interesting perspective for the World reversed. 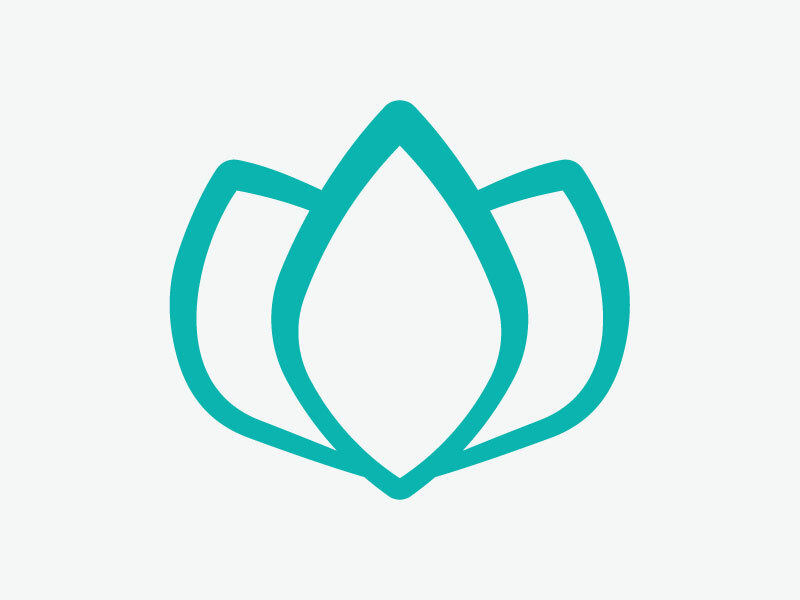 Upright, you see the triumphant woman’s head, the wreath, and her flowing hair. Reverse that image, though, and your attention is now on her legs, and that flowing shawl that seems ready to wrap itself around them, tripping her up as she heads toward the finish line. 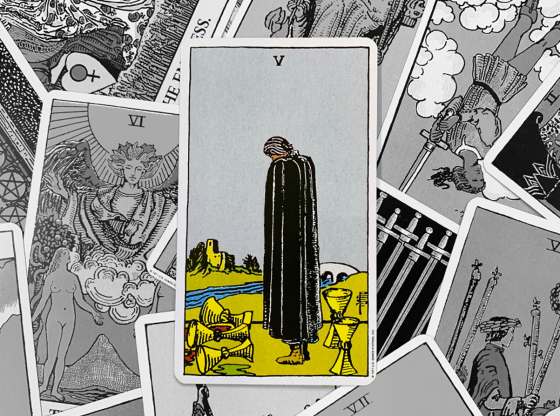 As with most reversed cards, the World reversed can indicate a block that’s between you and your goal. 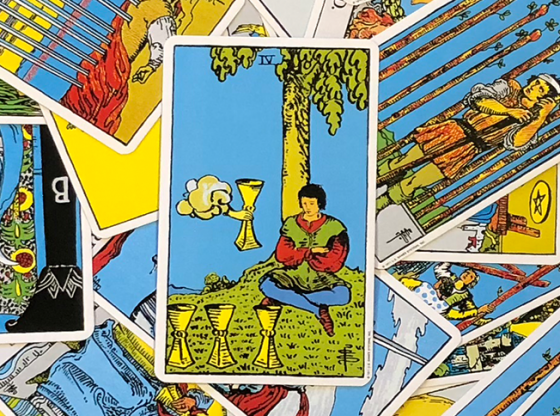 This could be an external or internal block; self-sabotage is a possibility (and look for the Seven of Swords in the spread for confirmation). 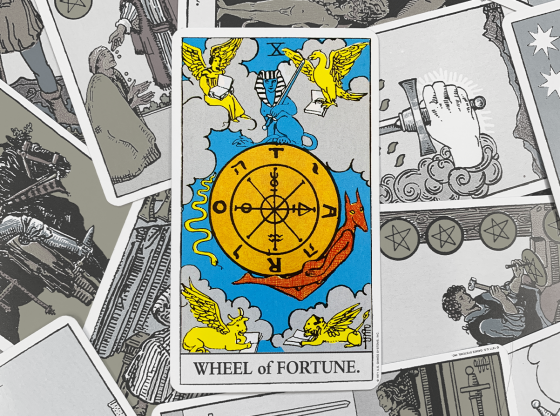 If the card shows up in a spread position indicating another person or outside influences, this block may be related to how other people see your goal. That doesn’t mean your goal has problems – it could all be their internal insecurities surfacing when they see someone else’s accomplishment. Or it could be that they are an unwitting block; for example, you want to move to another state, but gosh, your crush is finally paying attention to you – should you really move now? If the World reversed shows up in an outcome position, it could also indicate that your goal won’t be as fulfilling as you’d hoped. Are you placing too much responsibility on the goal, like assuming your move or new job will finally make you happy? Your life is often what you make of it – try to be happy internally, with the goal as a perk and not the key to your liking your life. It’s also possible that the World reversed is a warning that you’re taking your journey too far. Like, stop already. Your goal was to get a promotion, not step on every co-worker’s head on your way up to the top of the company. Your goal was to have a happy, comfortable life, not acquire all the luxury cars that just sit in your garage. Hey, it’s fine if you want a luxury car and can afford one – but use it. Drive it. If you cast it aside in search of the next luxury car, something’s not right. 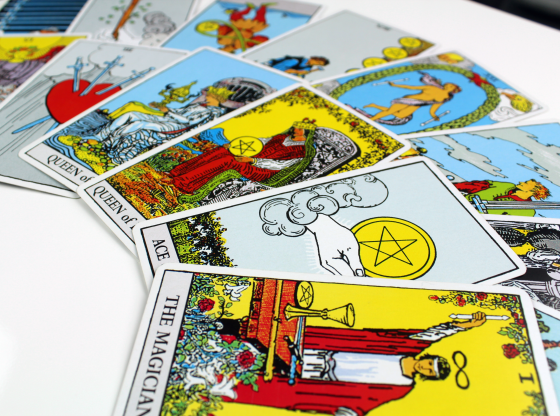 Get a money psychic reading for additional insights about aligning your goals and financial situation. Frustratingly, the World reversed could also indicate a delay that messes up your desired timeline. So it’s not that your goal is really unfulfilling or off-track, you’re just going to have to wait. 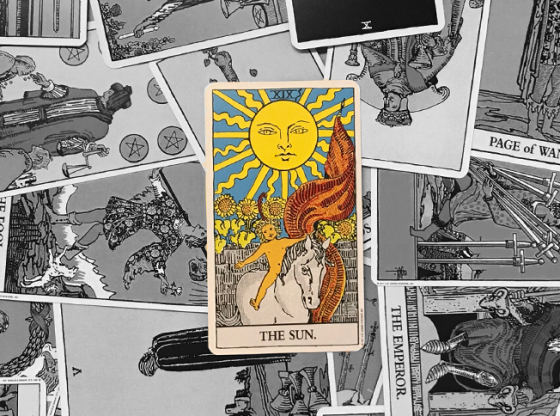 Note that if the card shows up in a past position, then it indicates that you’ve already gotten past that block, or the block has led you to where you are today. The lesson you can take away is that you succeeded in moving forward. You may still have issues to deal with in the future, depending on the other cards in the spread, but this block, at least, is on the way out. Because you’re so close to your goal, you’ll benefit from identifying where that hiccup is and fixing it. 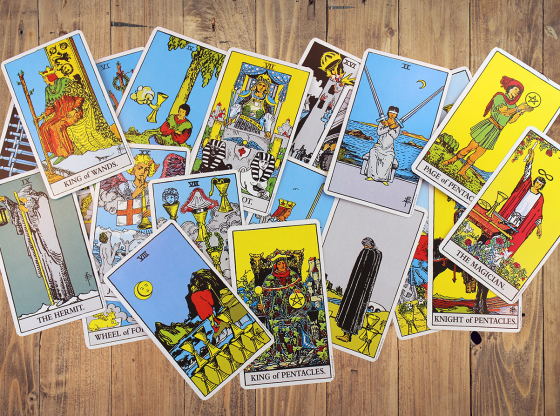 A professional tarot reading will really help here because you and the reader can trace your own journey through the spread and see where that block or wrong turn may be, as well as what you can do about it. This is a card calling you to action. The World reversed looks bad but is more like a proofreading card, for lack of a better term. This card is like that person who takes one last look at your manuscript to find those lingering errors, giving you a chance to fix them before the publishing cycle is over. So don’t treat this like the end of the world; it’s just a rest stop.